The 50th anniversary of Izu Guranparu Park. 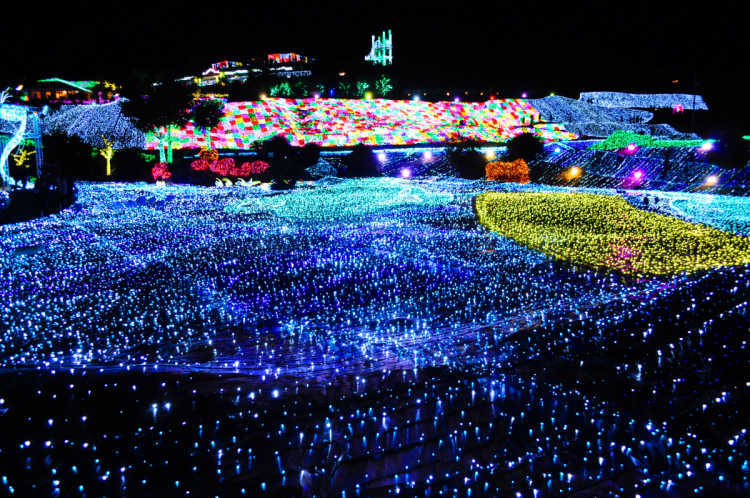 2million LED cover the area that is twice as large as Tokyo Dome. The slide in the lights and the roller coaster running through the illuminations are worth seeing.